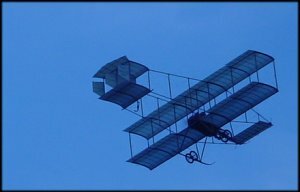 The first powered flight took place 100 years ago. The advances in materials, engines and design in that time have been phenomenal. Aircraft from before the First World War don't bear much resemblance to the aircraft we travel in today and they are well worth seeing if you have any interest in how design has changed. Aircraft design has affected design of many everyday items such as the streamlined look of 50's and 60's household appliances and cars. Aircraft design advanced exceptionally fast in the first 15 years due to the First World War. 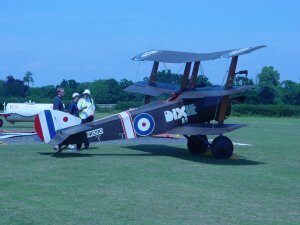 Our pictures show a Bristol Box Kite from before that war and a triplane from that War. To find out more about celebrations of 100 years of flight visit the 100 years of flight home page. To see more of our early aircraft a visit to the Shuttleworth Trust at Old Warden in Bedfordshire is a very good day out and this year there are more flying days than ever before.